We’ve all heard the excuses in college for why someone didn’t have something done when it was due. Something that continues to shock me, however, is that people are still using these excuses in the workplace. Here’s the bottom line though: hiding behind college-grade excuses in the workplace stunts your growth as a professional and gives you a reputation for being a liar. The scenario: a project/task is due, and when it comes time to turn it it, it’s not available because computer problems of some sort just happened to occur. If you think you’re fooling your supervisor with this one then you’re in for a grim surprise. Your professor might humor you in college, and subtract a few points, but your boss most likely will not. In the workplace deadlines are everything. People and projects rely on them. It’s better to tell the truth (you dropped the ball) or to proactively ask for more time. Your supervisor or team might be a bit frustrated, but at least they won’t begin to distrust you. Of course, the best thing to do is to avoid this by getting things done on time. The scenario: You’ve been given a project/task. You move it forward, and turn it in on time, but it quite spectacularly misses the mark. You chalk it up to not exactly understanding the scope. Although this might truly be the case, it should not be a reality. If you are uncertain of the parameters at all, it is your responsibility to ask until you have a clear picture. The scenario: you’ve been given an assignment requiring a resource. When it comes time to present your findings or your work, you blame the incompleteness on not being able to find the resource(s) required. In school, this might’ve been that passage in a text book or a link. In the workplace, it’s that file, that contact information or reference to a guideline. Resourcefulness should be an expectation you hold yourself to. If you can’t find an aforementioned resource, ask your team or your client again for it. If you need to seek out reference material for your project, do whatever it takes to procure it. The scenario: you’re in the spotlight to make a presentation. You show up without any reference materials to hand out, although your boss specifically asked for them. You claim you were having printer issues. I heard this excuse more than any others while I was in college. In the workplace, I still hear it. Using this is a sin that should be avoided at all costs, especially since most workplaces have an abundance of printers handy. Don’t procrastinate on completing the task at hand or giving yourself enough time to print it. What college excuses do you continue to hear in the workplace? 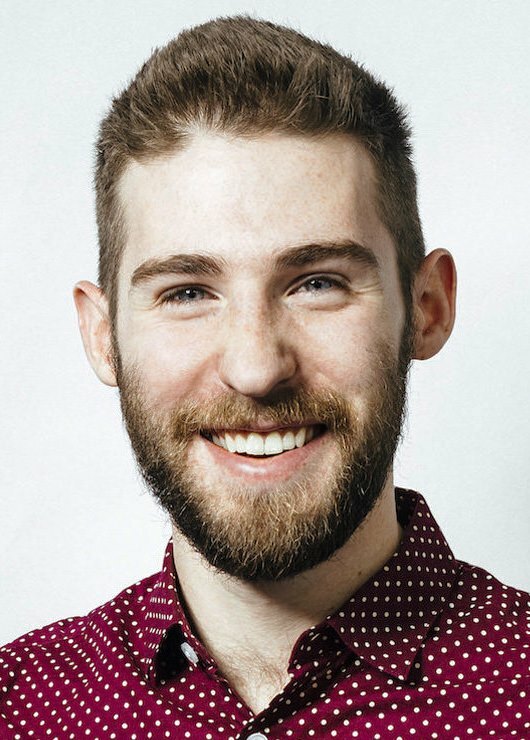 Ben Butler, APR, is the founder and client services director for Top Hat—an award-winning marketing communications firm in Pittsburgh. 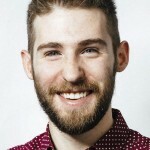 In his past life he served as a public relations guy for a motorsports complex, director of inbound partnerships for an inbound marketing agency and head of communications for a software startup. He’s been named a Top Under 40 Communicator and is Accredited in Public Relations (APR)—a distinction held by less than 20-percent of all practitioners. I am a senior public relations student from Southeast Missouri State University. I was just wondering what course of action you feel employers should take if/when employees make these types of excuses? My name is Ashton Umbarger. I am a senior at Southeast Missouri State University and currently studying Public Relations. This article was spot on and I can relate to a majority of these excuses. I hear them more often than not and I have always been told to just be truthful about a negative situation than lie or make up excuses. The messages in this article were very powerful and had great advice for not bringing these up in the workplace. 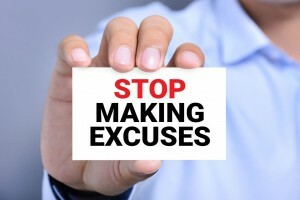 My question for you is, when you hear excuses as inauthentic as some of the ones you listed, how do you specifically act upon those and how do you handle the situation? Hi Ben! My name is Angie Kraft, and I am majoring in Public Relations at Southeast Missouri State University. There are so many excuses that college students use that I am sure will not be tolerated in the professional work place. Another classic excuse that I am sure will not fly in the work place, “I’m late because my alarm didn’t go off.” I thought this post was very helpful, and it gave me a sense of what the real world is like. Do you believe employers will actually cut you some slack if you take the approach of telling the truth instead of making excuses? Or will they just be annoyed of the fact that you are technically still making an excuse? I think it’s important for employers to show a bit of grace to new employees who might stumble into a few of these as they get rolling. 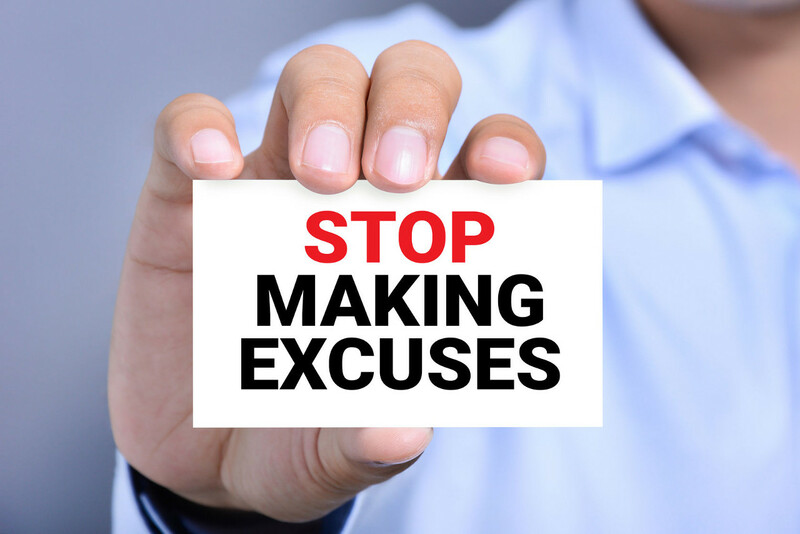 Anytime, however, these excuses disrupt the completion of work, cause missed deadlines or occur frequently then it’s time for action. I recommend pulling the individual aside privately — in a non-dramatic way — to honestly address the behavior, its effect, why it’s not OK and what should be done. If these behaviors persist frequency after such an interaction then more drastic measures should be taken. Thanks for the kind words. Glad you enjoyed this and found it helpful. Absolutely. Being tastefully honest is valued in the workplace and will get you much further than excuses. When faced with an inauthentic excuse like these, I make it a point to address it while it’s fresh. I like to do this in a way that doesn’t embarrass the person, so I’ll pull them/or the group aside to discuss. I express the issue, the effect and the action needed to correct it moving forward. If the excuse, and resulting fall-through, effected another or a group, I’ll recommend that the individual apologizes to them. Hello Angie! Glad you found this worthwhile. Always be honest and never make excuses. At that point, it’s not an excuse, it’s just the truth. I think most employers will cut you a bit of slack, as long as the blunder doesn’t cause collateral damage (project fail, angry client, etc.). If it’s just a late start to the workday, or something not as big, they may be a little annoyed, but just be honest and everything will be alright. Just be sure you’re not a chronic offender.